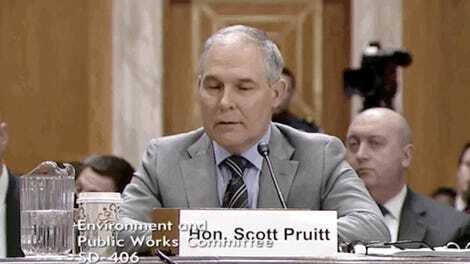 On Tuesday, Environmental Protection Agency chief Scott Pruitt got an earful about his decision to repeal the Clean Power Plan from a group of 233 mayors representing more than 51 million Americans. The group submitted a letter asking Pruitt to stop with all this repealing the Clean Power Plan nonsense. “We strongly oppose the proposed repeal of the Clean Power Plan, which would put our citizens at risk and harm our efforts to address the urgent threat of climate change,” the letter, entered on Tuesday into the public record, said. This is hardly just a crunchy granola group of mayors interested in saving the marquee federal climate policy. The letter’s signatories are Democrats and Republicans, including mayors of cities in deep red states like Utah, and purple ones like Colorado and Florida, alongside their counterparts in blue strongholds like New York, San Francisco, and Portland. That points to the reality that all impacts of climate change are inherently local, and cities on the frontlines. In South Florida, the key impact of climate change is sea level rise. In Utah, it’s disappearing snowpack and crappy air quality. These impacts are an economic drag already costing cities, and they’ll cost billions more in the future. While many cities are taking adaptation measures as well as reducing carbon emissions, their jurisdiction stops at the city limits. That’s why the mayors said they oppose repealing of the Clean Power Plan. It’s far and away the largest federally mandated effort to address climate change, setting state-by-state caps for power plant carbon pollution. The take is in line with most Americans’ views. Eighty-five percent of Democrats and 57 percent of Republicans favor regulating carbon dioxide as a pollutant. 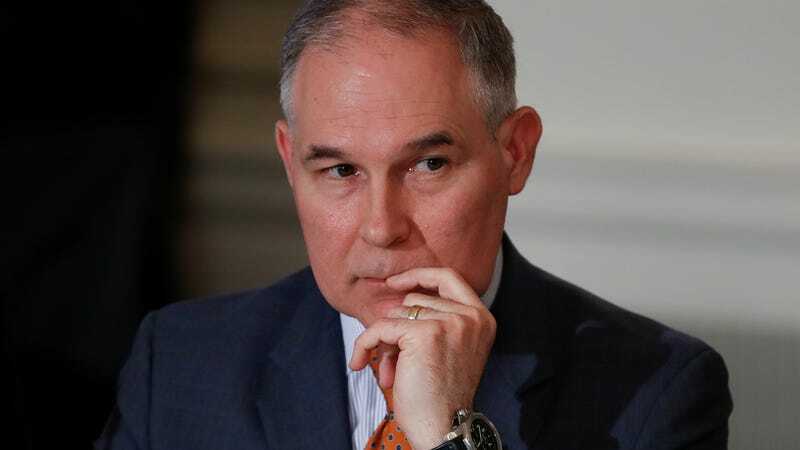 The EPA is continuing its listening tour about its decision to repeal the Clean Power Plan, including a trip to Kansas City on Wednesday to hear what people there think. But despite what others may think—the mayor of Kansas City, for instance, is a signatory on the letter—the agency seems ready to go full steam ahead on rolling back greenhouse gas regulations. At least the new letter signals that local elected leaders are unlikely to change course on addressing climate change even as the Republican-controlled Congress and Trump administration abdicate their responsibilities.